Here's another Ebay purchase. I've purchased this same plant with three different names. It was listed as Amorphophallus "Burma". 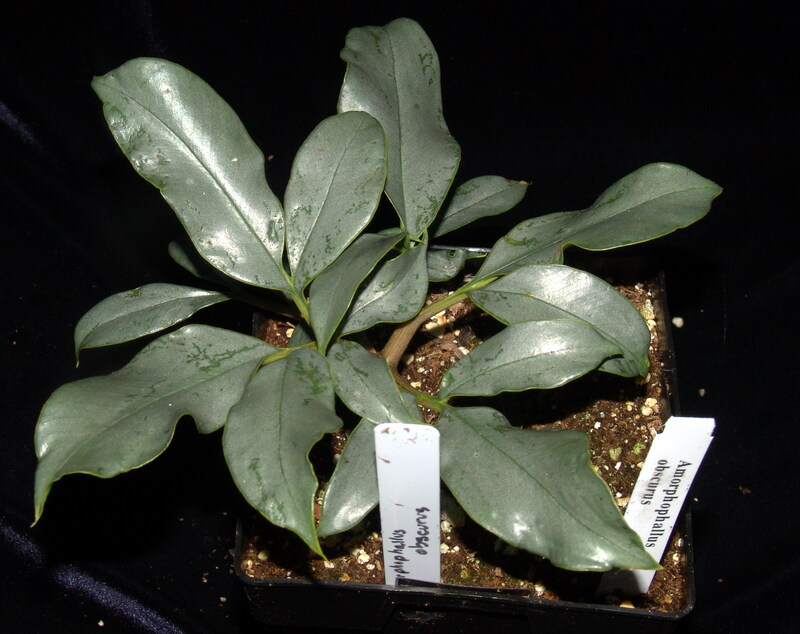 Another time, I purchased an identical plant labeled as Amorphophallus "Silver Leaf". 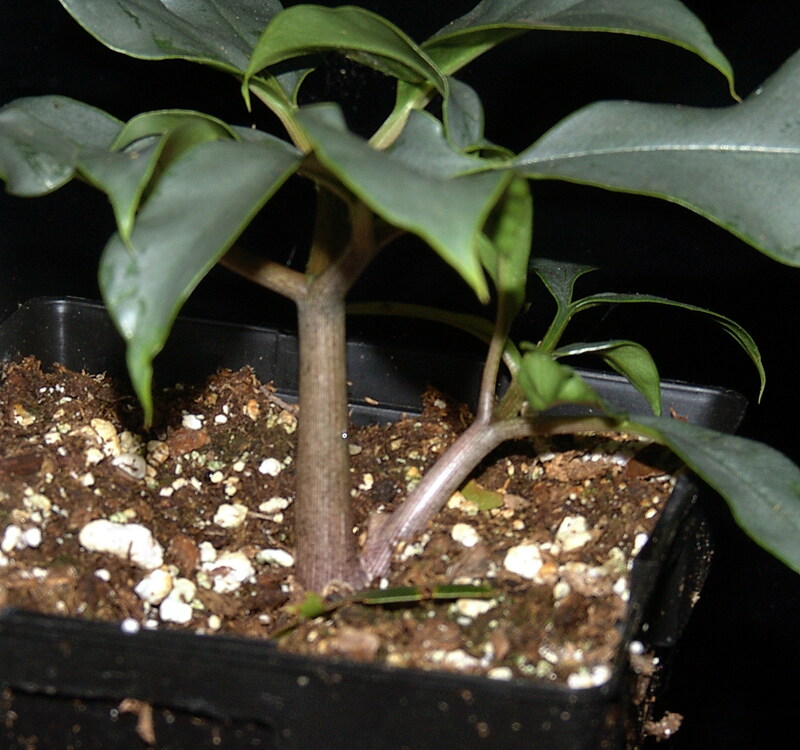 Last of all, I purchased another identical plant (mis)labeled as Amorphophallus obscurus. They're all identical and as per Wilbert Hetterscheid, they're all now properly labeled as Amorphophallus glaucophyllus.